It's furnace season, call us for all of your repair & maintenance needs! Our goal is to offer you prompt, professional & friendly service. We are a full-service plumbing & gas fitting company located in Sylvan Lake, serving Sylvan Lake, Red Deer & Central Alberta. We can help you with your residential &/or commercial builds & renovations. We specialize in custom kitchens & bathrooms, hot water tank & furnace repairs, gas fitting, & much more! With over 18 years of experience in the plumbing and gas fitting industry, Kelly Fonda and his team are pleased to offer professional services to residences and commercial businesses alike. 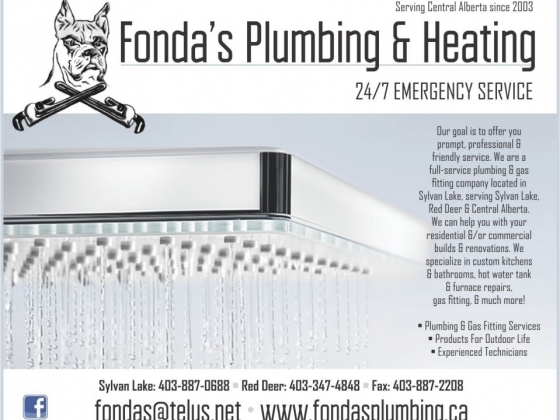 From essential plumbing services to indoor and outdoor heating, Fonda’s Plumbing & Heating is ready to exceed your expectations with its knowledgeable technicians and dedication to quality. Enjoy the great outdoors in comfort! Fonda’s Plumbing & Heating offers a selection of outdoor furnishings and heating options that will keep your back yard and patio comfortable year-round. Choose from a variety of high-quality wicker furniture and accessories, or add a touch of warmth to your outdoor haven with a stylish fire table or fireplace. Our technicians are highly skilled, trained & experienced in both residential and commercial plumbing. They are hard-working troubleshooters who ensure compliance with all trade practices and plumbing codes. Visit our showroom to see beautiful fixtures, sinks, tubs and toilets in a variety of styles. Our experienced, knowledgeable and friendly staff take great pride in the work that they do! Let us exceed your expectations with our focus on professional services and customer satisfaction. I have had Fonda's completing plumbing and mechanical systems, in the house we built, for years now. The work is performed on schedule and to spec. I have had Fonda's provide very useful advise on our custom installs that have provided increased returns. Edgebrook Custom Builders will not use any other plumbing technicians. We used Fonda's Plumbing as our plumber for our new home. Their professionalism and knowledge was fantastic! Their pricing was the best we found, and they were able to commit to our short timeline of moving in, and accommodated us without any issues!! We will continue to hire Fonda's Plumbing for our future service needs, and highly recommend them to our family and friends!!! 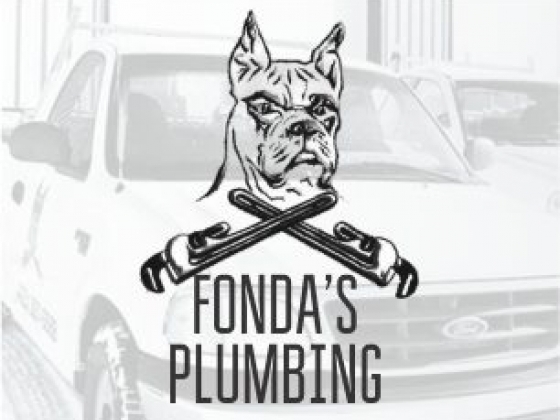 I was in a jam with my hot water tank leaking and Fonda's Plumbing acted quickly and helped me out. Their staff was very professional and nice to deal with. I will readily give references to them for their outstanding work!